At least 980 staff will lose their jobs, although some may be redeployed. As part of the turnaround plan the fashion chain will benefit from rent reductions of between 15% to 55% across its remaining 393 stores. Executive chairman Alistair McGeorge said the company voluntary arrangement that had been approved was necessary to restore the chain to profitability. "The CVA is one of a number of necessary actions we are taking to get the company back on track," he said. The agreement represented "another important step in helping to rebuild our position within the UK market." The restructuring is part of Mr McGeorge's strategy to reduce costs and refocus the brand on its core 25 to 45-year-old customers. 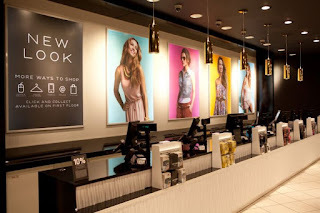 But New Look is just the latest High Street brand facing a survival-of-the-fittest battle with rising costs and consumer spending that has been squeezed by inflation and stagnant wages.